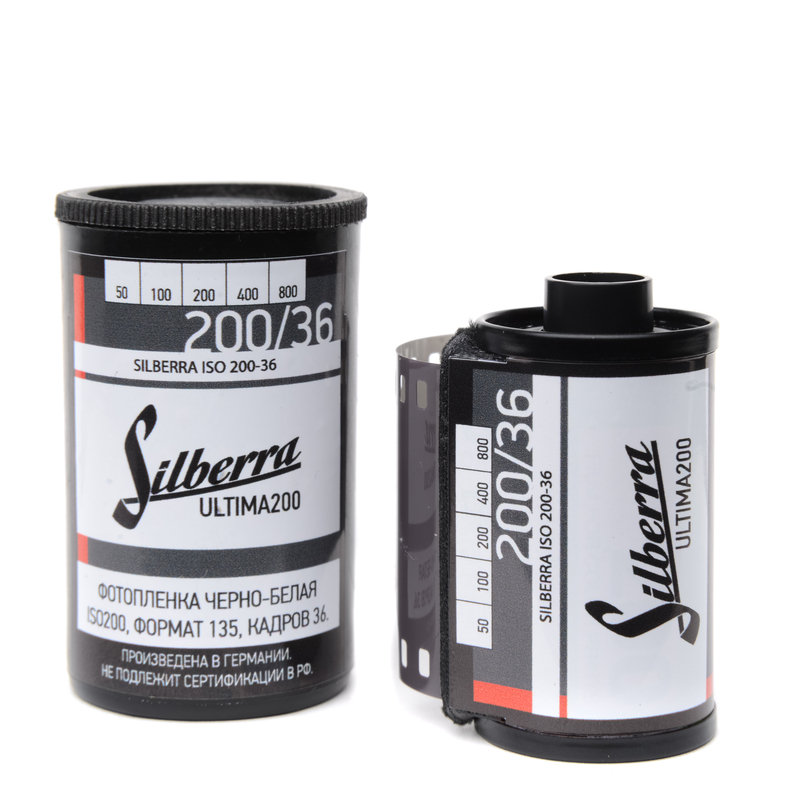 Silberra ULTIMA200 is panchromatic negative black and white photo film, with ISO value of 200. 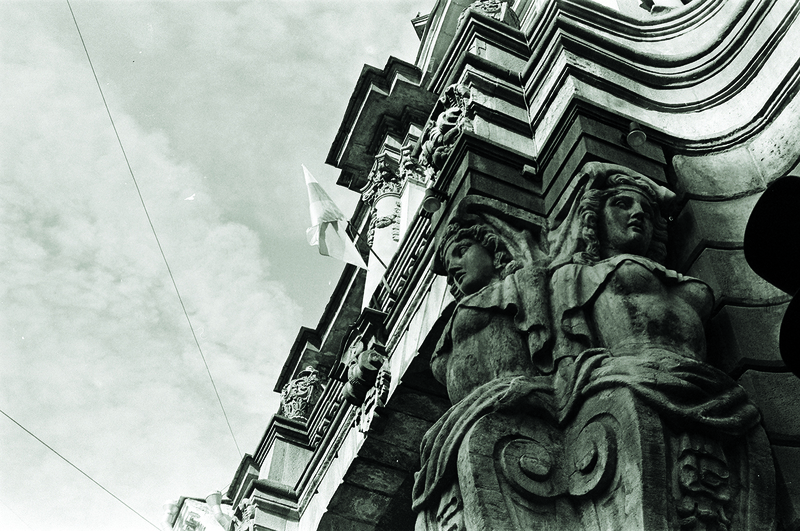 Fine grain, wide tonal range, perfect sharpness and moderate contrast are typical for Silberra ULTIMA200 film. The film itself is twin to Silberra PAN200, as it has the same emulsion but thinner substrate. 6) Lower thickness of the substrate adds one more feature: Silberra ULTIMA has lower requirements for light emitting elements in scanners and enlargers; saving the density of the image itself one can get better results with lower power of the light source. Silberra ULTIMA series is perfect for use in street photography, portrait photography, landscape and architectural photography. Special features of 2-layer emulsion make this film ideal to use at dusk/dawn, in winter and at complicated lighting ambience. Developing process (depending on the specific developer) can infuse into final image such features as adamant gloss within bright areas accompanied by highly detailed shadows, or make the final image reasonably even along the whole light spectrum. Silberra ULTIMA film is optimal for use in natural light. Using the film in artificial light is subject to preliminary tests due to high sensitivity in red and near-IR light spectrum. We recommend shooting several frames and processing those prior to any professional photo sessions in studios. Choosing the color temperature of artificial light sources and their power is vital to obtain predictably perfect results. 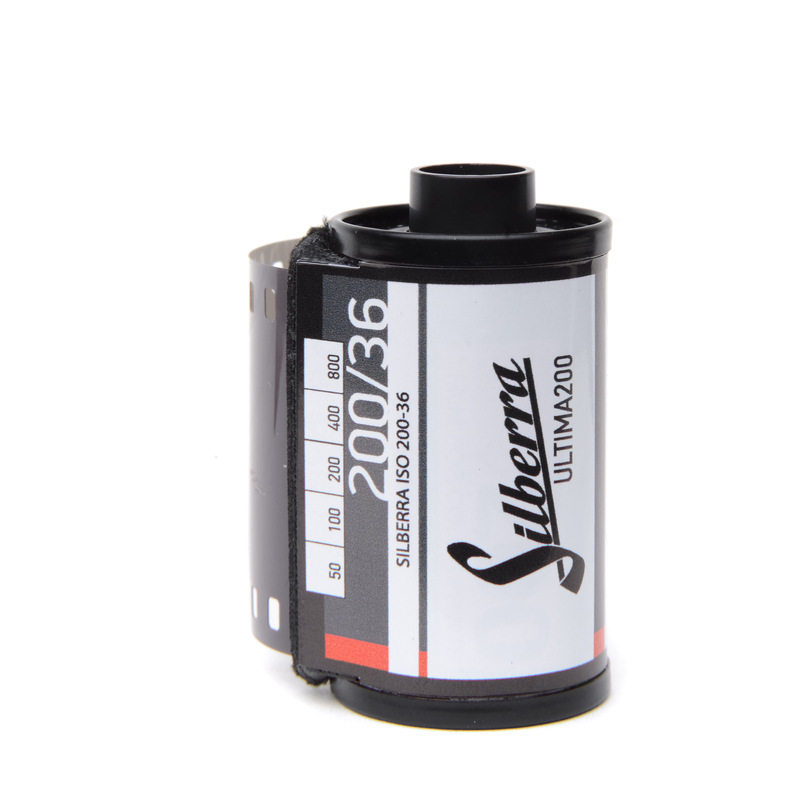 Silberra ULTIMA200 is able to provide excellent image at cloudy weather, in fog and at dusk; the final image will have perfect shadow details preserving the overall high resolution (200 lines/mm at 1000:1 TOC contrast). Officially the exposure range for Silberra ULTIMA200 – 125, 200 and 320ISO. Lowering the sensitivity below 125 may cause loss of reasonable contrast, while increasing the sensitivity over 320 could increase the graininess and noise level. 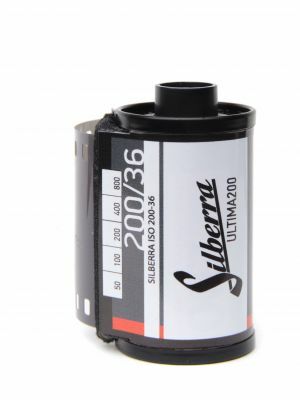 Archival capacity of Silberra ULTIMA200 is not confirmed practically; the guaranteed archival storage period thus is stated as over 10 years without image quality loss. Silberra recomends archival storage using special archival file sleevers (triacetate, paper of pergament) in cold (below 20 degrees of Celcium), dry and cool place.